Estadio Azteca known as El Coloso de Santa Úrsula is a giant 105,000 capacity football stadium located in Mexico City, Mexico. 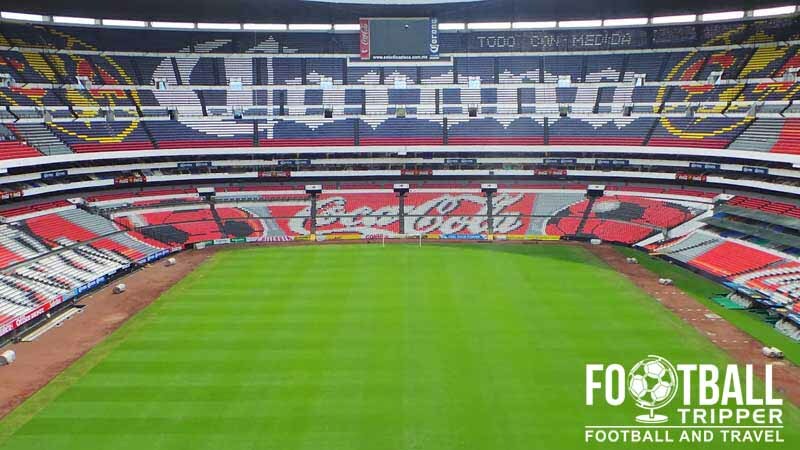 The 6th largest in the world, The Aztec Stadium is home of Liga MX side Club de Fútbol América as well as the national team of Mexico. 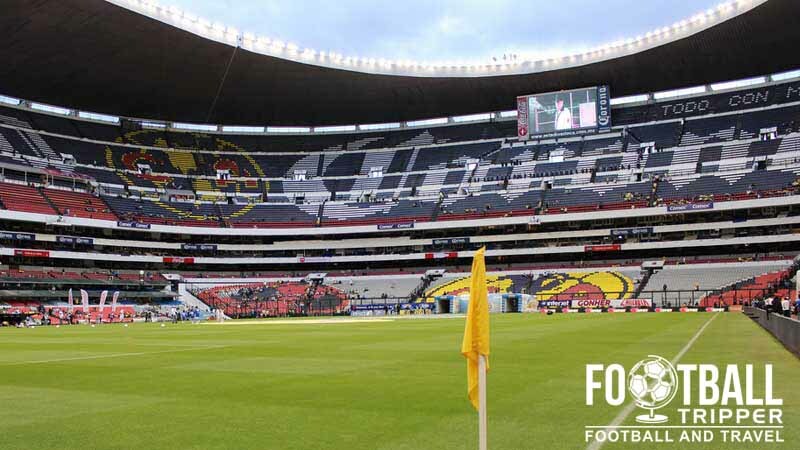 Estadio Azteca has become one of the most famous footballing venues in the world since first opening on 29th May 1966 with the inaugural match between resident side Club América and Torino F.C. A few months later a modern lighting system was installed and a game was held between Valencia CF and Necaxa. Designed as the principal venue for the 1968 Summer Olympics, it is perhaps more famous for having hosted two World Cup Finals, and for being the second largest football stadium in the world after Barcelona’s Nou Camp. The first final was for the 1970 World Cup and saw Brazil defeat Italy 4-1, and the second was in 1986 between Argentina and West Germany, with La albiceleste triumphing 3-2. Colombia were originally elected as hosts by FIFA but were forced to pull out due to economic reasons. 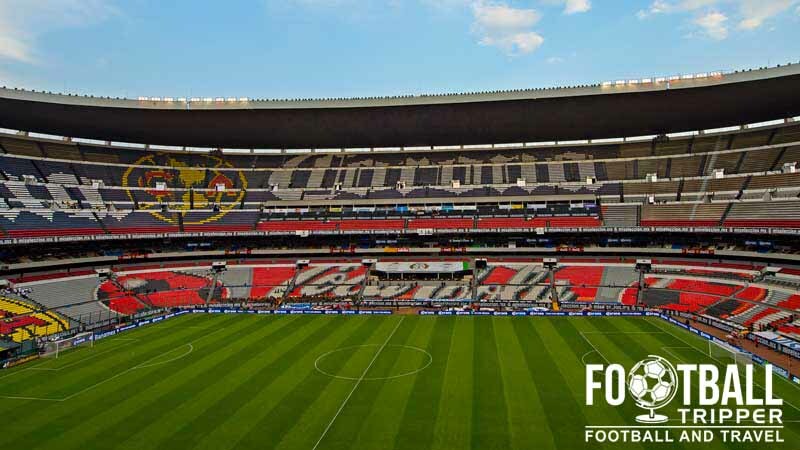 Although having hosted two World Cup Finals is history enough in itself, Estadio Azteca holds the distinction of seeing two of the World’s greatest players lift the Jules Rimet Trophy in their prime. Firstly Pelé did it with Brazil, and then Napoli’s own Diego Maradona lifted the trophy with Argentina. For a short period in the late 1990s the stadium was renamed to Guillermo Cañedo after it was purchased by the TV Consortium, Televisa. The move was taken to dissociate their investment from rival channel TV Azteca, however it was exceptionally unpopular with the country’s population and the original name was restored a few years later. 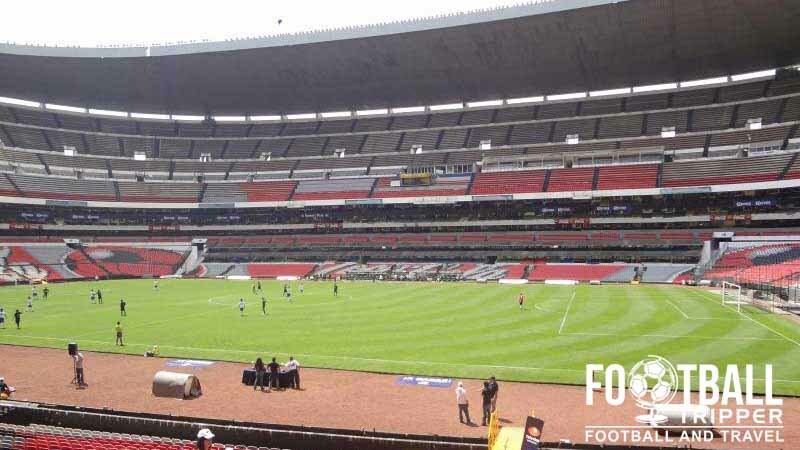 Estadio Azteca is comprised of four stands: North, East, South and West.